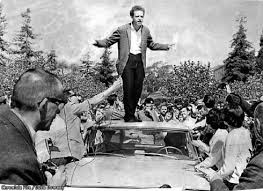 blog.samseidel.org: Happy Birthday Mario Savio! Anyone who has ever spent time on the Berkeley campus knows the name Mario Savio. 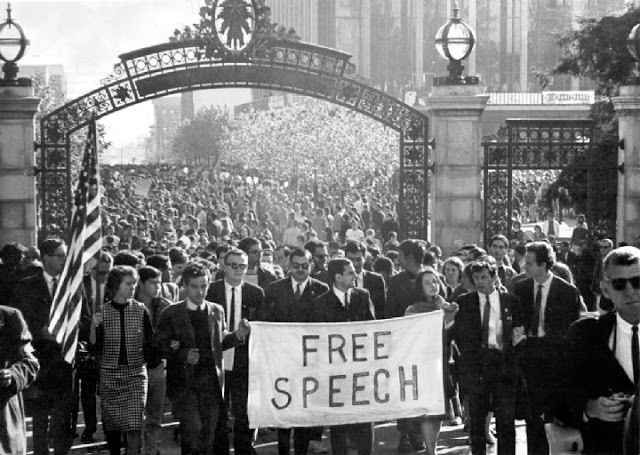 Few people are more directly responsible for instigating the Free Speech Movement than he. 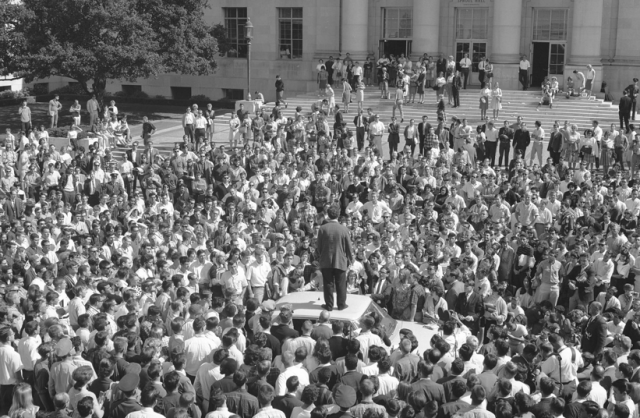 On October 1, 1964, Savio along with others sat down on Sproul Plaza, encircling a police car that had come to arrest Jack Weinberg for handing out political literature in violation of campus policy. During the 32-hour protest, Savio climbed on top of the car to address the crowd. It was a seminal moment in American history. The event marks the beginning of a movement that would overtake not only Berkeley, but campuses across the country, and change America forever. Mario Savio was born on this day in 1942 in New York City to Italian-American parents, and at one time considered joining the priesthood. He attended Berkeley to study philosophy and in 1964 joined the Freedom Summer, traveling to Mississippi to register African-Americans to vote. Returning to the Berkeley campus that fall, Savio wondered if all his activism would fade now that he was back in the relative serenity of a university setting. As it happened, it didn't. Savio was out on Sproul Plaza that October day as Weinberg, a former student, attempted to hand out pamphlets for the Congress of Racial Equality. As the police arrived, someone in the crowd shouted, "Sit down!" People sat down. The 1960s was born. Mario Savio died in California in 1996 at the age of 53.